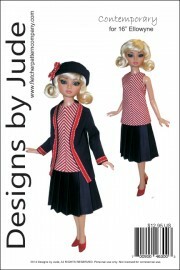 Up for consideration is Contemporary, a pattern designed for 16" Ellowyne dolls. 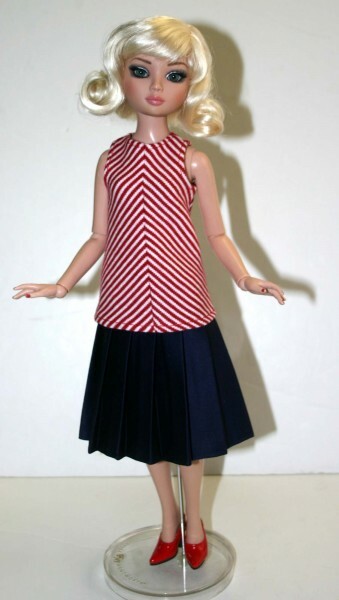 The pattern features a chevron hip length sleeveless tank top, long sleeve coat , pleated cotton skirt and matching hat.This design is also available for Deja Vu and other size fashion dolls. 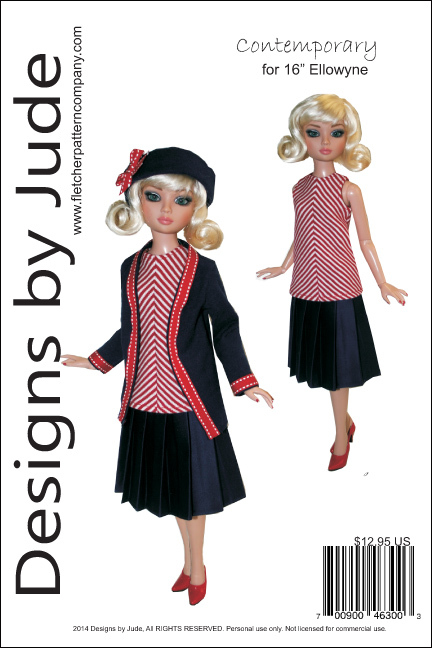 The PDF version prints on A4 and 8 1/2 x 14 legal size paper.